Ice cubes may be the old standard when it comes to keeping drinks cold, but there are times when teeny, tiny cubes simply won't do, such as when filling your cooler or carving an ice sculpture. You may need to look further than that ice cube tray for the solution to your problems. 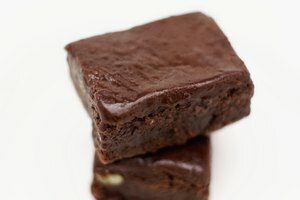 You can buy blocks of ice, of course, but when that isn't practical, making blocks of ice in your home freezer is a workable solution. 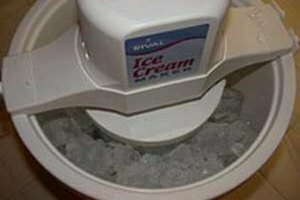 Place a container the size of the block of ice you want to create in the freezer so that the bottom of the container rests on a flat, solid surface. This is no time to perch your container on the top of tipsy bags of frozen peas. 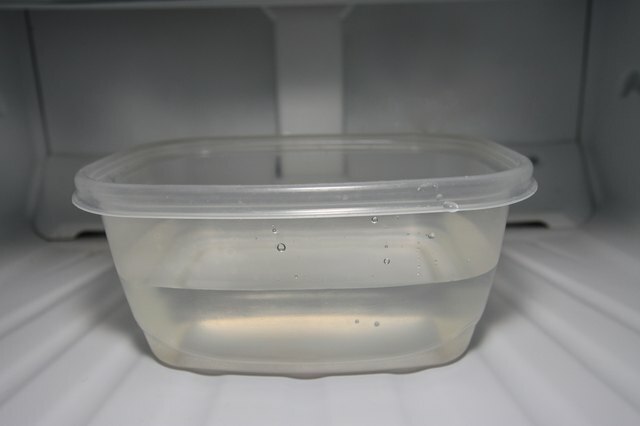 Fill the container to within 2 inches from the top with water. This allows room for the ice to expand as it freezes. Let the water set overnight to freeze. The actual freezing time depends on the temperature of your freezer and the size and shape of your container. 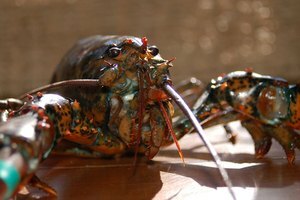 It may range from 8 hours to 24 hours or more. Monitor the freezing time to determine the correct time for freezing ice blocks in your freezer. 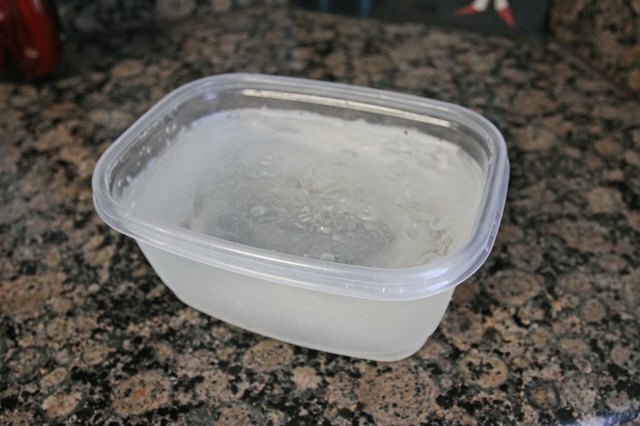 Remove the container from the freezer and allow it to set for 10 to 15 minutes to loosen the ice from the container. 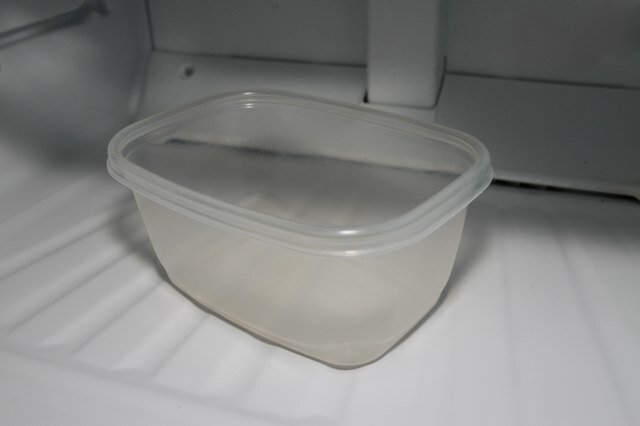 Alternately, hold the container upside down and run warm water over the outside of the container to slip the block of ice free, or dip the bottom of the container in a pan of warm water for a few minutes to loosen the ice block..
Use plastic food storage container with flexible sides; water expands when it freezes and may crack or break rigid containers, leaving you with a mess to clean out of your freezer. Run hot water in your sink and rub the ice block on the warm sink to smooth away rough edges. Use gel molds or angel food pans to freeze a wreath of ice to create a floating ring for punch. 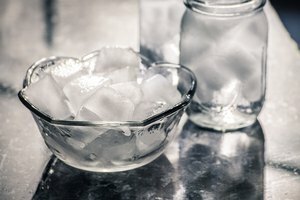 To avoid diluting your punch, use some of the punch to make the ice block instead of using water. Use muffin tins to freeze giant ice cubes. Use caution when handling ice, as rough edges can inflict nasty cuts and the cold temperature can cause damage to sensitive skin. 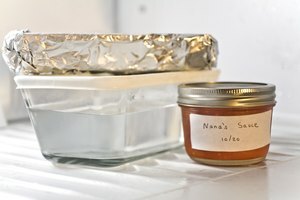 Can You Freeze in Glass Containers?